Pitted acne scars are one of the worst kinds of scars that one can get. Such scars are usually the result of cystic acne. Cystic acne tends to go deep in the skin, and affect the deep dermal tissue and collagen. 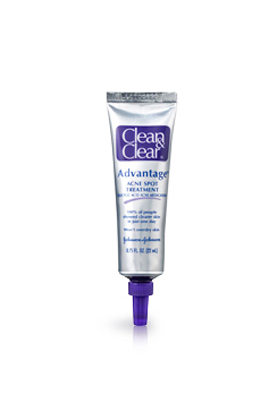 It’s it difficult to find a treatment that works best for pitted acne scars. Before you can begin treating pitted acne scars on your face, you need to determine what kind of damage your skin has already suffered. If you acne mars and not very deep, you can try home remedies to get rid of pitted acne scars. However, if the marks are too deep, you will need to go for other invasive and stronger prescription treatments. Home remedies and other over-the-counter drugs are just not strong enough to penetrate the skin. 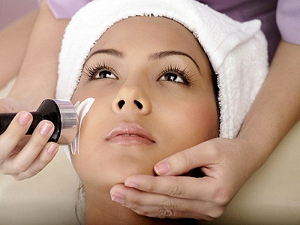 As talked about above, if the damage is not severe enough, you can try home remedies to get rid of the acne marks. There are many remedies for such tasks, and we have listed the best ones on our home page. There is one home remedy in particular that works really well for pitted acne scars. It uses papaya fruit and honey and is very easy to make. So here’s how you make this papaya mask. Cut papaya into small pieces until you have about half a cup. Mash them up to make a paste. Now add two tablespoons of honey into it and mix it well. What you have now is a papaya mask that can be applied on your face daily twice per day. Apply this paste on our face, let it sit for 20 minutes, and then wash away with lukewarm water. 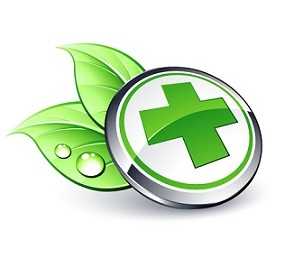 If the home remedy stated above, or others that you have tried, don’t work for you, then you should try some topical creams. Go to your local drugstore or pharmacy, and ask for collagen-boosting creams. Collagen is an important fiber that makes an essential part of healthy skin. Production of collagen is important when it comes to healing the scars. Derma cellular makes good collagen-boosters but they can be expensive. Fortunately, there are many other manufacturers that make quality creams that are affordable. Although there are all kinds of products in the market that claim to cure pitted acne, there’s one cream that I like in particular. It’s the MSM cream. This cream is very cheap; you can get it from almost any supermarket or health food store. If you don’t find it in a store, you can also buy it online. MSM cream works wonders when it comes to getting rid of pitted acne scars quickly. Apply the cream as directed on the container and you shall see good results within a month. MSM cream is made up of organic sulfur, which is involved in the metabolism of at least 150 critically important molecules in the body. Our diet is usually not sufficient enough to provide these nutrients. Sulfur is necessary for the formation of connective tissue which is part of your skin. When your skin is damaged, as a result of sports injury, surgery, or acne, for example, it tries to reconnect (cross-link) and heal the damaged tissue. Usually, this cross-linking is not accurate and result in scarred tissue. MSM cream has been shown to assist in proper tissue connecting and resulting in less scarring of the damaged tissue. If whatever mentioned above doesn’t work for you, there are other options that you could explore. You may go for a laser surgery (also called laser resurfacing). What laser does is that it kills the damaged layer of skin. As a result of its removal, new cells are able to develop underneath, giving your skin a fresh, young, almost scar-free look. Laser surgeries can be expensive. If you have the budget, go for it. There are many laser treatments that are out there which can be quite effective for pitted acne scars. You should talk to your dermatologist to see which option are available to you. Fractional CO2 laser treatment is very popular and effective to fill in deep acne scars. According to Dr. Schweiger, one treatment of fractional CO2 is enough to produce up to 75% improvement in deep pitted acne scars. This treatment works by sending laser energy through the skin to the affected area, causing ablation of the scarred tissue; which causes your skin to produce its own collagen and fill the scar. Although you can see good results after the first treatment, you still need to give this treatment a couple of months to work fully. Collagen production by your skin is a slow process and will take time to cover the entire affected area. If laser and professional dermabrasion treatments did not help you with the deep acne scars, there is another option available to you. It’s called the punch graft treatment. With this procedure, dermatologists take a piece of healthy unscarred tissues (usually from behind your ears) and then use them to replace the scarred tissue. Doctors use a small circular device to remove and replace the tissue, and the replacement graft can take anywhere from five to seven days to heal fully. When all other treatments fail, punch graft is often the only treatment that works. If you are in that situation, book an appointment with your dermatologist and discuss this option. This procedure is very similar to the punch graft procedure. The dermatologists use the “cookie-cutter” like device to remove small pieces of scarred tissue. Instead of replacing the skin with an unscarred tissue, as is the case for punch graft, doctors just sew the old skin back together. You might be thinking that stitches usually result in scars? You are right. These striches will result in scars, but they will less noticeable and not as visible as the original scar. Speak to your dermatologist about these options and find out the treatment that works best with your specific case and type of acne scars. This procedure is also very common when it comes to reducing the appearance of pitted acne scars on the face. During the surgery, some fat is taken from another site on your own body, and is injected underneath the acne scar tissue. Transfer of fat tissue under the depressed acne scar tissue raises it, and it evens outs the skin surface. It makes the acne scars less noticeable. If you have had nodulocystic acne then this treatment might be a good option. However, i would like to mention that the transferred fat is reabsorbed into the skin over a period of time and it requires you to repeat the procedure. Your best option would be to visit the dermatologist and create the right treatment plan based on your specific case. Laser acne treatments are very effective as compared to the over-the-counter collagen boosting creams and other home remedies. If you have insurance coverage, great! If you don’t, then you might not have laser as an option depending on the budget. Explain your situation to the doctor and devise an effective treatment plan. There is yet another alternative that you could look into; it’s called dermabrasion. Basically, this technique utilizes a brush to sand away the top layer of skin, allowing newer cells underneath to develop. You can also find many microdermabrasion kits to be used at home, but they are not strong enough for pitted acne scars. You need something stronger; look for professional dermabrasion. The procedure is not complicated. It’s a two-step process. First, your face is cleansed. Second, the upper layer of your skin is removed. After the procedure, your skin usually takes about a week to heal properly. And, all the redness will usually fade away within three months time. It’s a good way to get rid of pitted acne marks if you can afford it. Methods listed above usually work for people wondering how to get rid of pitted acne scars effectively and faster. If they don’t work for you, it is highly recommended that you go see a good dermatologist for more intensive options. MSM cream actually works quite well. I never thought it would work but i tried anyways… and i’m amazed to see the results! My scars are deep and i have been using msm cream for about a month now. I use it daily, once in the morning and then again at night before i go to bed. So far, the results are amazing! I have noticed the deep scars filling in. Hi, I have a question. Will MSM Cream work for rolling scars on the nose? The skin on the nose is different, so I am worried it will not work. This cream actually works. I had ice pick scars which were quite deep. At first i didn’t even think this cream would do anything, but then i tried it, and i’m glad i did. Used the cream for about two months (i apply once in the morning and once in the evening), and i saw significant improvement. Like atleast 80% improve in the visibility. You should definitely give MSM cream a try if other creams didn’t work for you. Also, i really want to hear from other people for whom this cream didn’t work. I want to hear your experience. Please share, and thank you! Hello Lisa! I’m happy to hear MSM worked for you. I have been using it for 3 days now, twice a day. I see a slight change in my skin. I have noticed my redness has subsided. However, I haven’t yet seen my indented acne scars ” fill in ” . I noticed you said yours have improved 80%. How long until you started seeing yours fill in? You have to buy it online in a location like that. It is available on Amazon.com for only $7. I’ve only been using The Dr Max Powers Scar Serum for a few days (twice a day) but I’ve already noticed a visible reduction in the scar, which I never dreamed would be possible. It’s difficult to take a photo that captures the extent of the difference but, the edges of the scar have receded, especially at the top. The scar used to be a long oval shape but is now rounder. What remains of the scar is essentially a hard lump of collagen, so I certainly don’t expect it to disappear any time soon but this product is by far the most promising that I’ve come across in ten years. I have acne scars for 15 years ago. I tried everything even Proactiv, which did not work for me. For the last month, I have been using Citrus Clear’s Sensitive line (moisturizer and face wash), and I have noticed that they are starting to fade! It does make my skin red after I use it, but the redness goes away after 5 minutes, and that is what is helping get rid of them! I’ve had acne since I was 12. I’m now 64 and still have occasional break outs. I have very deep pin holes in my face, along with various other scars on my face and back. My back looks like cottage cheese. I’ve had 3 dermabrasions done, skin grafts and have tried everything on the market. Nothing will make your scars go away people. Nothing.